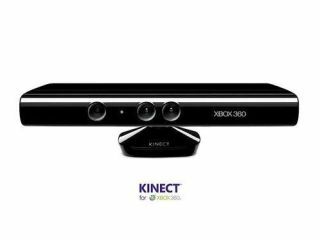 Eager tinkerers have already managed to hack Microsoft's Kinect motion control camera, following a $2,000 wager to crack the new gaming tech. A company headed up by two MIT graduates offered the $2,000 prize money to anyone able to hack the Kinect system. Limor Fried and Phillip Torrone, of Adafruit Industries, think that the tech used in Kinect is too useful to not be adapted for use in non-gaming applications. For its part, Microsoft says this: "Microsoft does not condone the modification of its products. With Kinect, Microsoft built in numerous hardware and software safeguards designed to reduce the chances of product tampering,"
The hackers have provided a video which they hope proves how they have managed to work around Microsoft's security measures to get control of Kinects's motors. "It's amazing hardware that shouldn't just be locked up for Xbox 360," said Adafruit's Phillip Torrone. "Its 'radar camera' being able to get video and distance as a sensor input from commodity hardware is huge." You can see the Kinect hack video from YouTube right here.